I suspect Iggy's bare nose (no fur) is due to barbering, but I always thought she was the dominant mouse. Coconut has been more assertive lately though. If this is what's going on, what can I do about it? Do they have to be separated? I only have 2 girls. Do I just leave them be? Thanks! 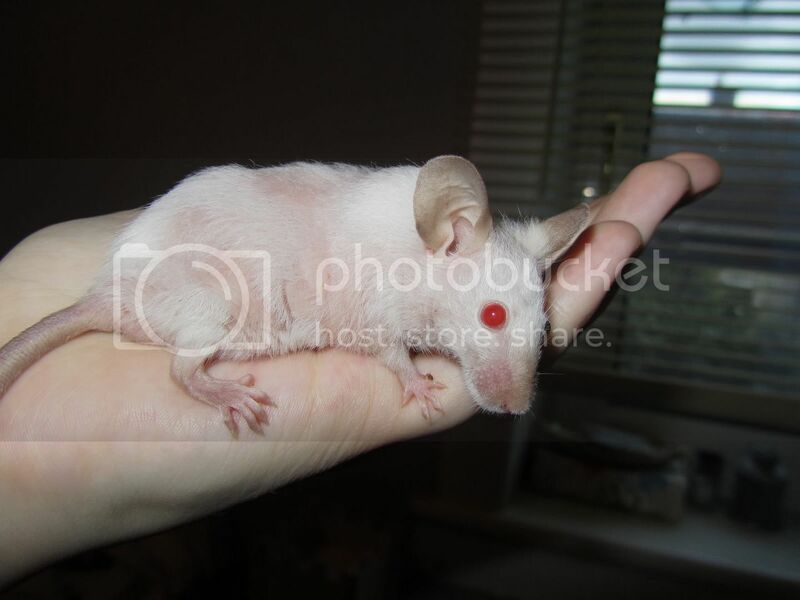 BTW It's in reference to this- http://www.rodentsnest.com/discussion/3851/marks-on-nose#latest Her nose is more bald now but not infected or anything. As far as I'm aware, from my own experience with barbering as well, it's completely harmless. My dominant mouse is often barbered ruthlessly by her best friend, she even has a bald patch from the amount of grooming done to her! I'd let them be personally, it's usually a friendly thing if asserting a bit of dominance here and there. Other than separating them there isn't really much you can do to stop barbering :( Most mice, from the ones I've seen, will make it clear when it's uncomfortable and the barber will scarper when that time comes :P From the affected ones I've had that have been barbered, it doesn't normally get much worse than bald noses and missing whiskers. 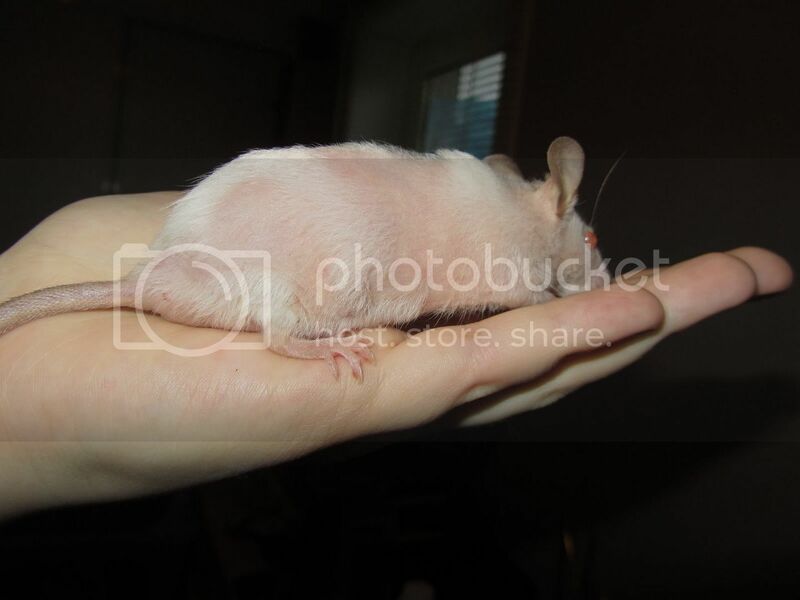 Although in saying that I did have one mouse that let her sister chew off all her hair :-O Poor Truly spent most of her life looking like a naked mouse and her sister Scrumptious never barbered anyone else. we can never be the substitutes to a mouse companion but you can try to compensate a little bit with lots of attention. I used to let my boy walk around freely on the table where I was working every time I was at home. He had his things and toys on a blanket (so he wouldn't poop the whole table), and every time he wanted attention he could come to my hand. I never had multimammate but apparently they get along well with mice, maybe they could be good companions for your boy. I understand. But try the table more times and see if he tries to jump or not. Mine never tried to jump and I don't let the blanket hang off the table so they don't try to get down that way. See how the bareness is up past her eyes now? Makes for odd looking photos. LOL She doesn't seem bothered by it though.